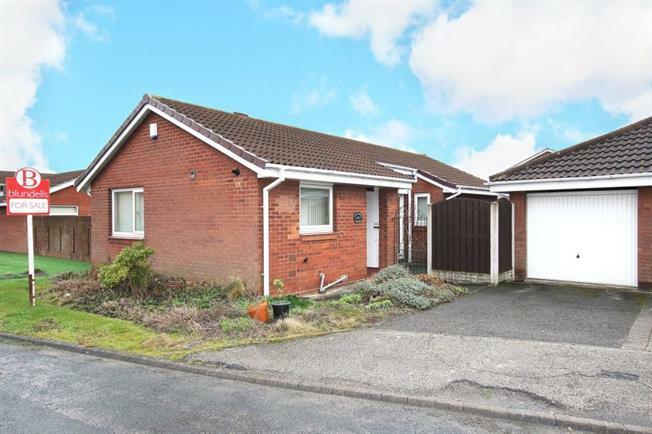 3 Bedroom Detached Bungalow For Sale in Rotherham for £185,000. CUL DE SAC POSITION and situated in this sought after location. Of interest to a varied purchaser this three bedroom detached bungalow is offered for sale with NO CHAIN involved. Ideally located giving access to local amenities, public transport and commuter links including the M1 and M18 motorway links. In brief the property comprises of kitchen having a range of fitted wall and base units. Separate dining room. Lounge having feature fire surround. Inner lobby giving access to three bedrooms and family bathroom. Outside there is a drive and single garage, garden mainly laid to lawn with shrub borders.